Since 1988, Dr. Brett Wartenberg and his team at Main Street Chiropractic have been serving Medford and the surrounding communities. 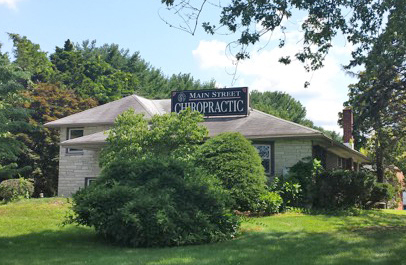 Since 1988, Dr. Brett Wartenberg and his team at Main Street Chiropractic have been serving Medford, Marlton and Southampton and the surrounding communities. From caring for many infants as young as a 13-hour-old baby to a 99-year-old that he kept out of carpel tunnel surgery, we welcome people of all ages to visit us for care. Our team is here to help you live and feel better, whether you’re a weekend warrior, a mom, dad or child. For us, it’s all about helping families become healthy together! Dr. Wartenberg practices the specific hands-on, Gonstead System of Chiropractic. He also provides organic whole food nutritional support to help you heal naturally and simply. By supporting yourself through chiropractic care and nutrition, you can recreate the balance in your body. He first served on the board of directors of the Gonstead Clinical Studies Society (GCSS), an international organization dedicated to chiropractic research and education. He then served 10 years as a Director with the Association of New Jersey Chiropractors (ANJC), serving from 2007-2011 as Vice President. In 2010 he was recognized by his peers as the ANJC Chiropractor of the Year. In 2014, for recognition of his unwavering support and dedication to the profession, he was nominated by Governor Christie, and confirmed by the NJ senate, to serve on the NJ Chiropractic licensing board (NJ Board of Chiropractic Examiners). Dr. Wartenberg is one of about 200 Doctors of Chiropractic in the world who are Diplomates in the Gonstead System of Chiropractic (DGCSS). As a Clinical Whole Food Nutritionist (CWFN), Dr. Wartenberg’s experience can help enhance your health even further. Furthermore he’s certified (CIBEC) in the adjusting the extremities (shoulder, elbow, wrists, knee, ankle) and has taught those techniques throughout the US as well as Sweden, Canada and England. And he is also certified in the Kennedy Decompression Technique, which helps those with spinal discs problems. We’re passionate about helping families get and stay well together. When patients give their body an opportunity to heal properly, Dr. Wartenberg says “it’s fulfilling for us to see their eyes light up realizing they could actually be this well.” It brings us joy to see our patients thrive as they change and live a healthy life. Dr. Wartenberg’s passion for serving expands far beyond the walls of Main Street Chiropractic. Involved in the community, he served on the Medford Economic Development Commission for ten years, two as chair. After that he served on the Medford Township Zoning Board. He is also a past member of the Medford Vincentown Rotary. By volunteering his time he has provided screenings and lectures over the years throughout the community, as well as supporting such organizations as the Deborah Foundation and the American Red Cross. We look forward to helping you and your family live better. Contact us so we can get started soon. We invite you to download, print & complete your new patient forms and bring them with you to your first appointment.